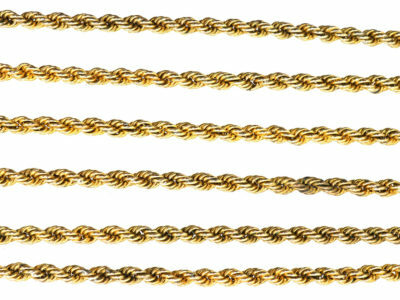 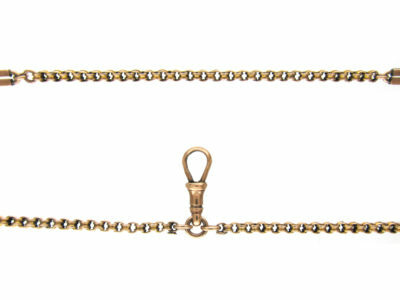 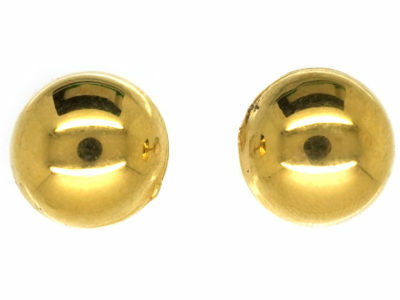 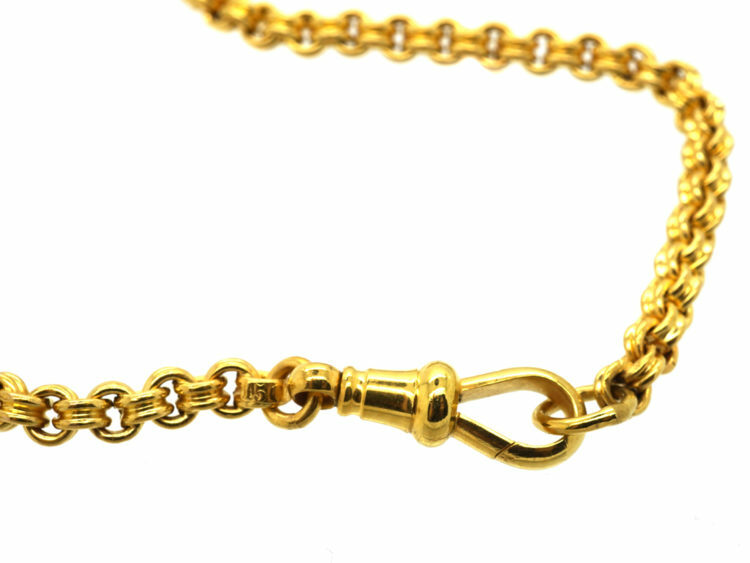 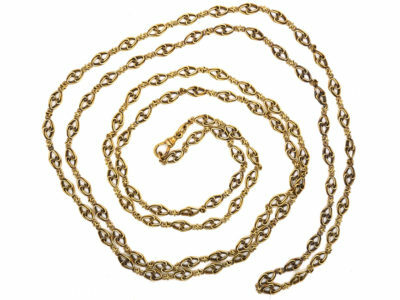 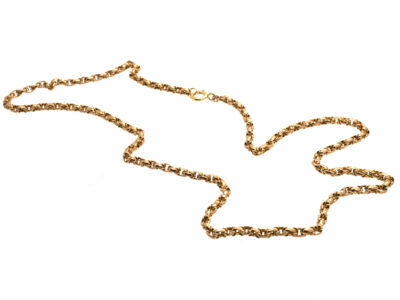 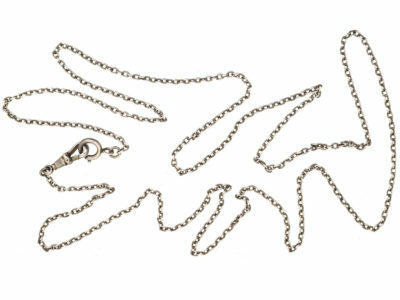 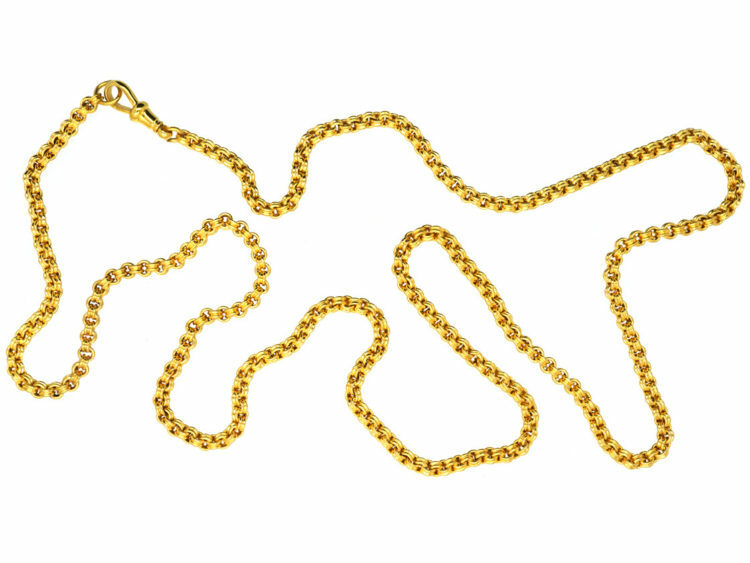 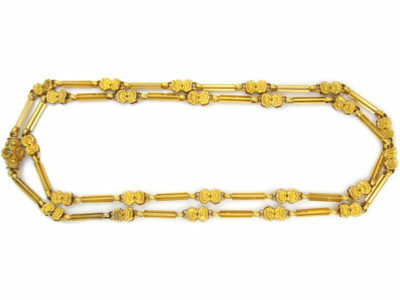 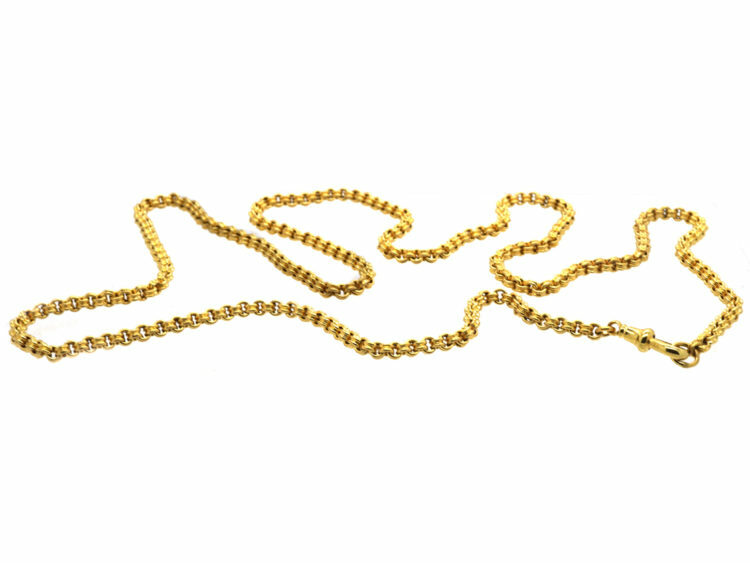 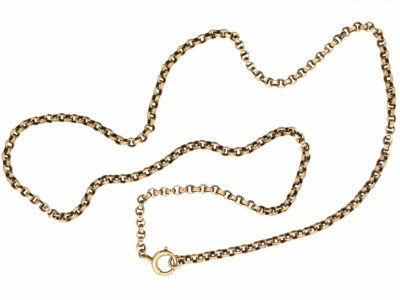 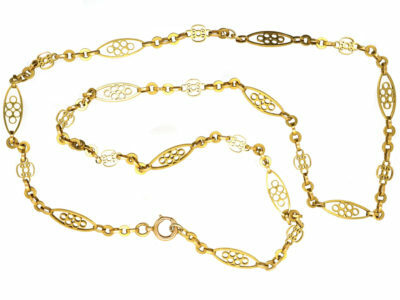 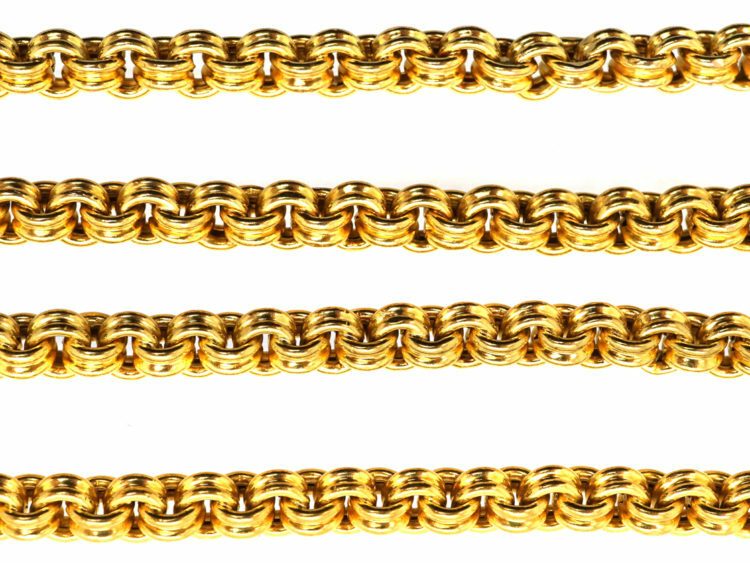 A good strong 15ct gold chain with a dog clip clasp that can be slipped over the head and is a good mid length when worn. 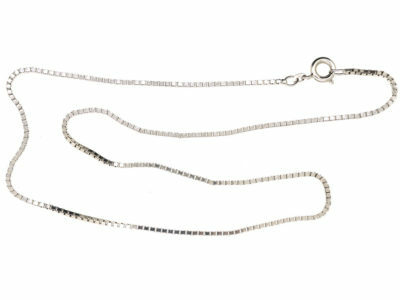 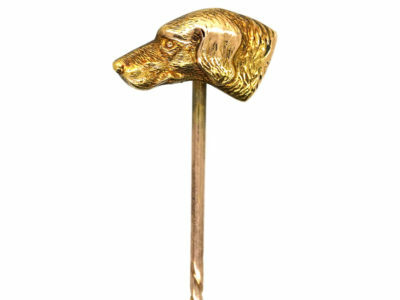 The dog clip is a good clasp as you can also clip a charm , watch key, seal or pendant on to it to add extra detail. 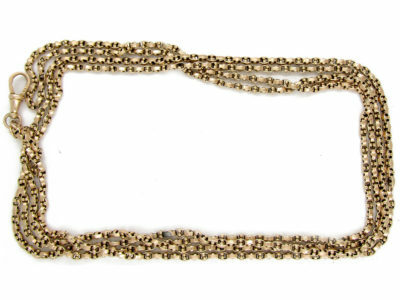 It was made circa 1890.